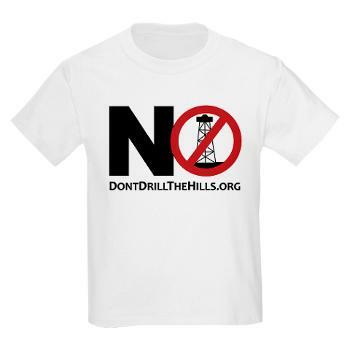 The grassroots community organization “Don’t Drill The Hills” (DDH) has been asking the Rochester Hills Mayor and City Council to hold a public hearing regarding the proposed oil and gas exploration. In an effort to satisfy our request, the city instead scheduled a limited invite open house with very short notice given. In response to the apparent attempt by the City to limit the exposure of the open house, DDH issued a press release to the major local media outlets. Although the City of Rochester Hills’ chosen format for the meeting – an “ask the expert” style open house – was not conducive to proper resident education, about 100 Rochester Hills residents attended to learn what they could. The tables of experts included: 3 representatives of West Bay Exploration who handle the seismic testing, 2 West Bay executives, A Jordan Oil Vice President, The Assistant Supervisor of Wells, Hal Fitch, at MDEQ’s Office of Oil and Gas Management (OOGM) ,2 OOGM oil and gas geologists, 2 other DEQ employees showing maps of oil and gas wells in Michigan, and James Clift, policy lead, Michigan Environmental Council. To sum up: eleven oil and gas professionals and one non-profit. Also in attendance were well over a dozen City officials and administrative staff, including Mayor Barnett. Still, DDH hopes some information was gleaned from this first informational meeting, and looks forward to a more balanced panel discussion from the City in the future. It is important to evaluate both sides of the argument to make an informed decision. More information on the financial and environmental risks of oil and gas exploration in high density neighborhoods can be found on this website. Post by Don’t Drill The Hills. In my mind, water is more valuable than oil. We can live without oil, but not the former. For the mayor and city council to allow this nuisance to come into our city for the sake of financial gain displays stunningly bad judgment. The traffic, noise, risk of pollution, etc., will likely cause them to regret their decision down the road. Their action reminds me of the saying: The love of money is the root of all evil. I’ve heard presentations like this before. The DEQ will say that fracking has been done in Michigan without incident for 60 years which is the first inaccuracy since the kind of fracking that they are doing now, high volume horizontal fracturing,. is totally different than the conventional fracking that has been done. What will happen in your community you will not like. If you allow fracking in your community you are risking your property values (you will not be able to sell your house), your air quality, your water quality, health safety and quality of life. If you want light pollution, truck traffic, and noise, let fracking into your community. There have been accidents and spills but there has been no reporting since 1995. There are not two sides to this issue and please don’t let the gas and oil companies and the DEQ tell you that there are.